The 34-year-old actress Claire Foy, who plays a supporting role in the 2011 Nicolas Cage film “Season of the Witch”, attends 2019 BAFTA Awards in London. The 34-year-old actress Claire Foy, who married British actor Stephen Campbell Moore from 2014 to 2018, n a beige sweater arrives at LAX Airport in Los Angeles. The 34-year-old actress Claire Foy attends 2018 Evening Standard Theatre Awards in London. 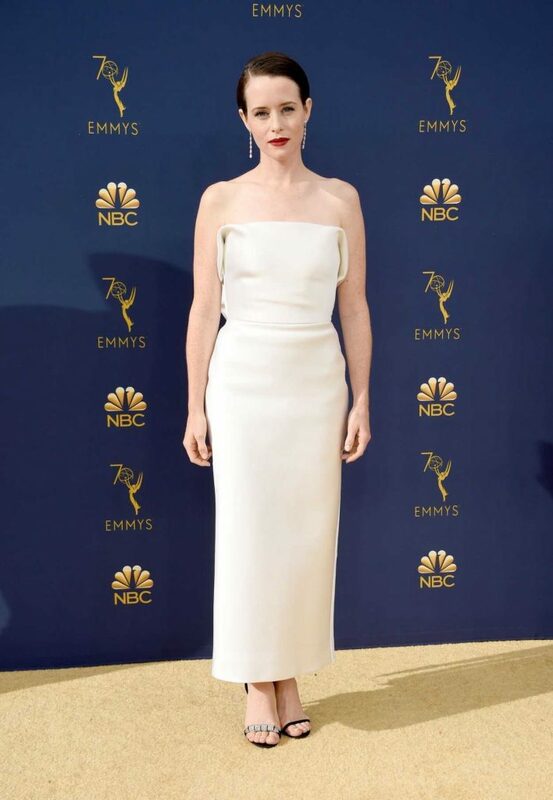 The 34-year-old actress Claire Foy, who plays a supporting role in the 2011 Nicolas Cage film “Season of the Witch”, at the 70th Primetime Emmy Awards in LA. The 34-year-old actress Claire Foy, who in 2016 began starring as Queen Elizabeth II on the Netflix series “The Crown”, at the “First Man” photocall during the 75th Venice Film Festival in Venice. The 33-year-old actress Claire Foy, who became known for her role as the title character on the BBC One miniseries “Little Dorrit”, at the “Unsane” premiere during the 68th Berlin Film Festival in Berlin. The 33-year-old actress Claire Foy at the 75th Annual Golden Globe Awards in Beverly Hills. The 33-year-old actress Claire Foy, who plays a supporting role in the 2011 Nicolas Cage film “Season of the Witch”, arrives at BBC Radio Two Studios in London. The 33-year-old actress Claire Foy, who in 2016 began starring as Queen Elizabeth II on the Netflix series “The Crown”, at BAFTA Tea Party in Los Angeles. The 33-year-old actress Claire Foy, who became known for her role as the title character on the BBC One miniseries “Little Dorrit”, at the 2017 British Academy Television Awards in London.